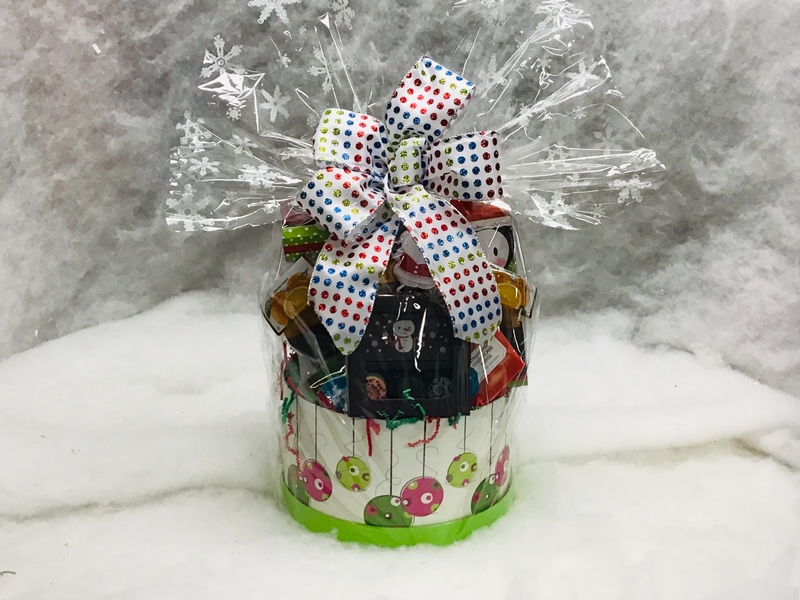 This keepsake Holiday hat box holds all sorts of Holiday Goodies. A box of Truffles including a Snowman Chocolate Bar, Holiday Shortbread Cookies, Carmel Corn, Strawberry Cheesecake Fudge, Mint Chocolate Fudge, Chocolate Peanut Butter Fudge, Belgian Chocolate Fudge, assorted Dried Fruits, Chocolate Covered Orange Slices, Chocolate Chip Cookies, Box Cinnamon Sticks and a Box of Parmesan Sticks. The box comes with a lid so receiver can keep and use when holidays are over.